During autonomous driving, fast and accurate object recognition supports environment perception for local path planning of unmanned ground vehicles. Feature extraction and object recognition from large-scale 3D point clouds incur massive computational and time costs. 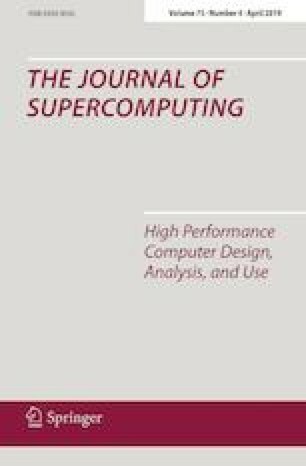 To implement fast environment perception, this paper proposes a 3D recognition system with multiple feature extraction from light detection and ranging point clouds modified by parallel computing. Effective object feature extraction is a necessary step prior to executing an object recognition procedure. In the proposed system, multiple geometry features of a point cloud that resides in corresponding voxels are computed concurrently. In addition, a scale filter is employed to convert feature vectors from uncertain count voxels to a normalized object feature matrix, which is convenient for object-recognizing classifiers. After generating the object feature matrices of all voxels, an initialized multilayer neural network (NN) model is trained offline through a large number of iterations. Using the trained NN model, real-time object recognition is realized using parallel computing technology to accelerate computation. This research was supported by National Natural Science Foundation of China (61503005), Beijing Natural Science Foundation (4184086), Beijing Young Topnotch Talents Cultivation Program (No. CIT&TCD201904009), the Great Wall Scholar Program (CIT&TCD20190304), NCUT “The Belt and Road” Talent Training Base Project, and NCUT “Yuyou” Project.